On 6 March it is World Book Day – one of the biggest celebrations of children’s books and reading! 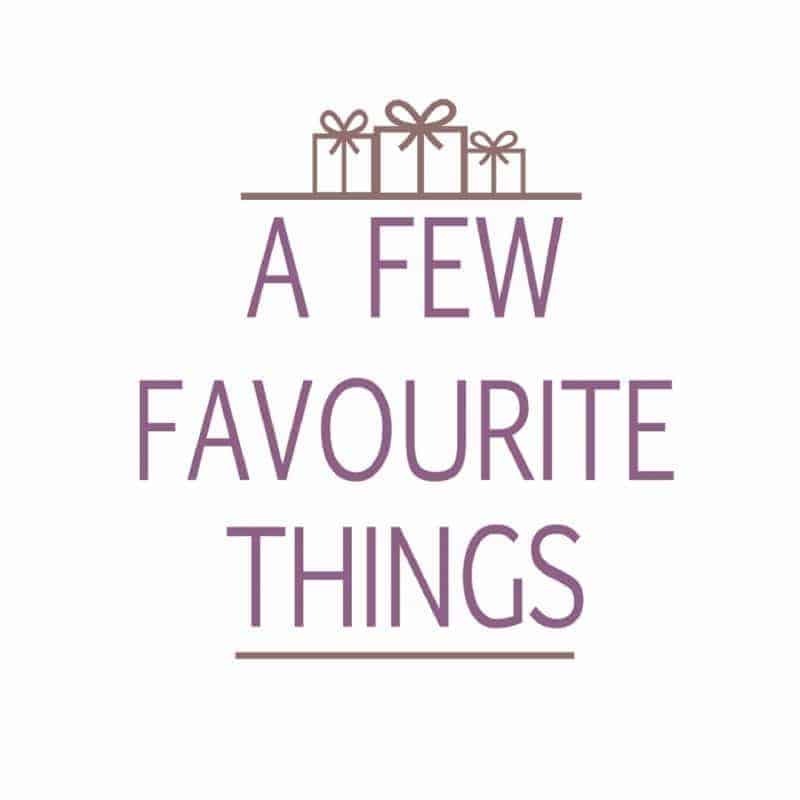 Whether you’re making a fictional character costume or buying some of the £1 books available, why not also celebrate a bit differently this year? 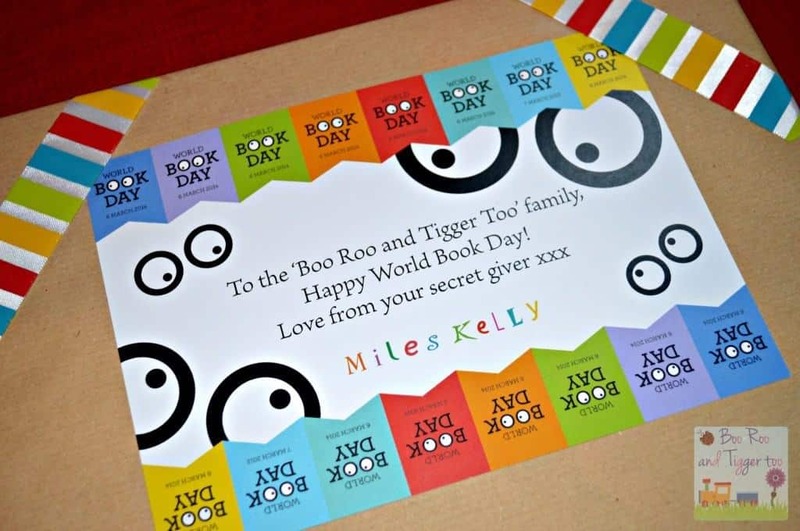 The lovely people at Miles Kelly publishing contacted Boo Roo and Tigger Too along with several other blogs to see whether we would all like to take part in a #WorldBookDay secret book giver (think secret Santa but with books). Of course we said yes and soon we were sent an email with the name of the blog we needed to select a book for. After some cyber stalking and looking through the extensive list of books available from Miles Kelly I selected a book that I hope they will love. After making my selection I received an email to say that my chosen giver had selected us a book and it was heading our way. Having missed the delivery on Thursday as we were away for the day, Roo and I went to our local sorting office to collect it. Upon opening our special World Book Day gift Roo was pleased to find a new Children’s Earth Encyclopedia inside. Roo has a thirst for knowledge and facts so with over 500 facts hidden inside this one book I’m hoping that it will keep her occupied for some time. 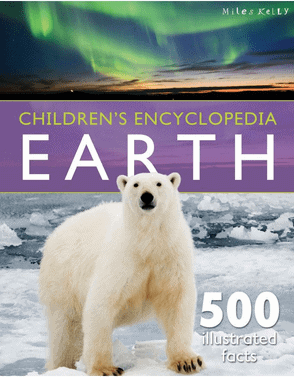 The Children’s Earth Encyclopedia is broken down into five key areas; Plant Earth, Polar Lands, Oceans, Rainforests and Saving the Earth. 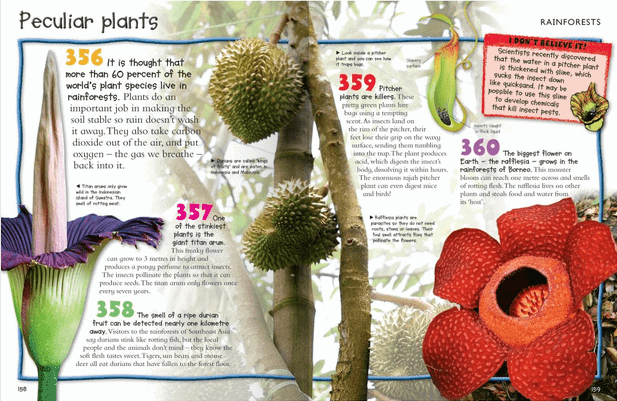 With each of these areas containing then split down further into subcategories which offer a double page spread of facts around that particular subject matter. If a mudstone s squashed and heated it changes to slate. Crystals begin to line up in layers. This makes it easy to split the slate into thin sheets. Slate makes a good roof material and the smooth sheets are also used to make the bases of pool tables. Sometimes at night, the polar skies are lit by shimmering, waving curtains of multi-coloured lights. These are called the Aurora Borealis or Northern Lights in the Arctic. Around the Antarctica they are called the Aurora Australis or Southern Lights. Penguins can swim, but not fly. They have oily, waterproof feathers and flipper-like wings. Instead of lightweight, hollow bones – like a flying bird’s – some penguins have solid, heavy bones. This enables them to stay underwater longer when diving for food. Emperor penguins can stay under for 15 minutes or more. Tribal people on the island of New Guinea live in homes up to 50 metres off the ground. The tree houses built by tribes such as the Korowai and Kombai provide safety against warring tribes or dangerous creatures, especially disease-carrying mosquitoes. Plant Earth is the only home we have. It’s also the only home for wild animals and plants. After us, it will be the home of future generations. What we do now will decide whether it ends up a messy, overheated planet, or one that’s healthy and safe to live on. 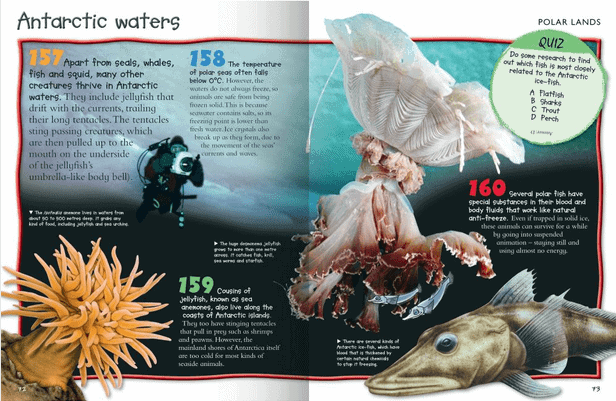 With a RRP of £17.99 the children’s earth encyclopeadia is a great buy, full of facts, ‘did you know’ segiments, activities and quizzes. 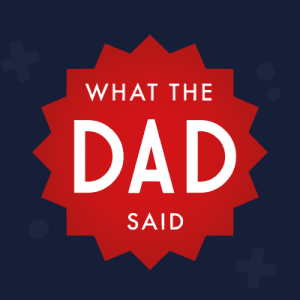 This will be a book that Roo will keep referring to especially as she starts learning new topics at school. Disclosure: We received the Children’s Earth Encyclopedia FOC for taking part in the Miles Kelly secret World Book Day giver challenge. I found it hard to pick – they have such a lot of great titles full of info. 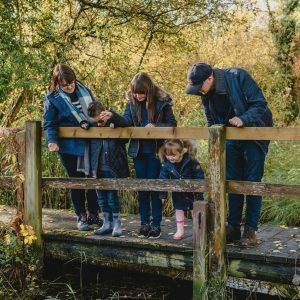 What I like about these is that the kids can dip in and out of them time and again, so they’re much easier to get a child’s interest than a novel. 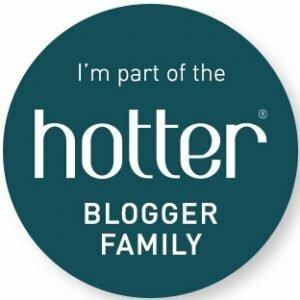 What a cool thing to be part of! Your book looks great! This looks like an amazing thing to take part in! I have enjoyed reading your reviews of this wonderful author’s books.